I am currently studying Philippine Studies and my research interests are Philippine folklore, religion and cultural studies on food and language. I am also interested with Spanish culture and language which happened to have a large influence on contemporary Filipino culture. Also, I enrolled Spanish language classes in my university. 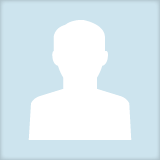 Maybriel Tobias updated their profile information.